I travel several times a year and often leave my pets at home with a family member or friend. It’s always hard to spend a week or two away from home and I miss seeing my two dogs and two cats, so I was excited to get a wifi camera to check on things at home. 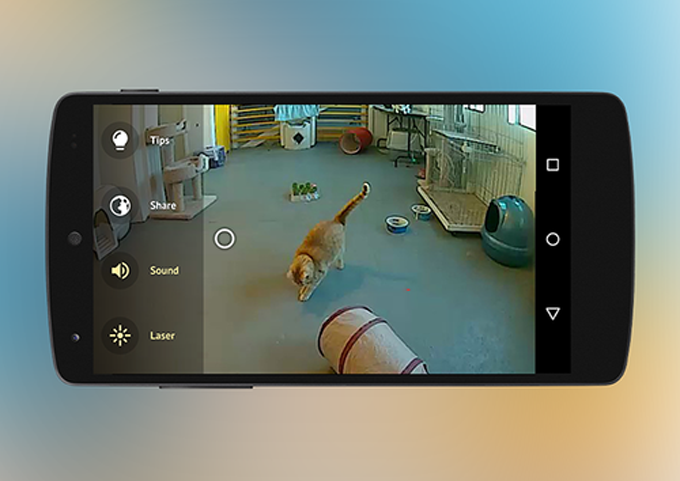 I did some research and ended up trying out the PetCube Interactive WiFi Camera that works for both dogs and cats. The set up was easy, I just followed the instructions. It only took a few minutes and I was good to go. I set my phone and my husband’s phones up so we could both use our PetCube — we both travel, and not always together. The camera is sleek and compact. It doesn’t look clunky or ugly. It’s a modern cube design and fits nicely in our home. You’ll need to be able to set it up somewhere near a power outlet and you’ll want to get it at the right angle to capture the area of the room you are looking to monitor. You can’t move the camera around when you are away so you’ll want to get it set up on a nice solid stand before you leave. The fun started when my husband got a job in New York for two weeks and went away. We were talking on the phone and I told him to hang up and log into the PetCube app and chat with me that way. We hung up and a moment later the red light came on my PetCube and we were chatting over the Internet — he could see me and the dogs on the sofa watching TV. There seems to be a slight lag in time as you might expect with anything WiFi based device but we had a seamless conversation. The device is not meant for human chatting so we were really testing the bounds of the device with this human to human chat and it actually worked great. Warning: If you’re going to chat with a human via your PetCube, turn off the laser light because it’s really annoying to humans. My husband and I chatted several times using the PetCube, and other than a slight delay, it worked great. He would pop up on the PetCube out of nowhere and surprise me sometimes which was a strange thing to get use to — he really loved being able to see us and pop in on us without warning. Next we took a trip to Seattle and used the hotel’s Free Wifi to check in on the dogs and cats. The PetCube does not have night vision so you need to be sure to leave some lights on if you want to see what’s going on at night. If you have a pet sitter, make sure they know you are checking in from time to time so you don’t scare them. Or maybe you want to scare them. Haha! The PetCube worked great, we’re really enjoying it and enjoying all the different ways we can use it. 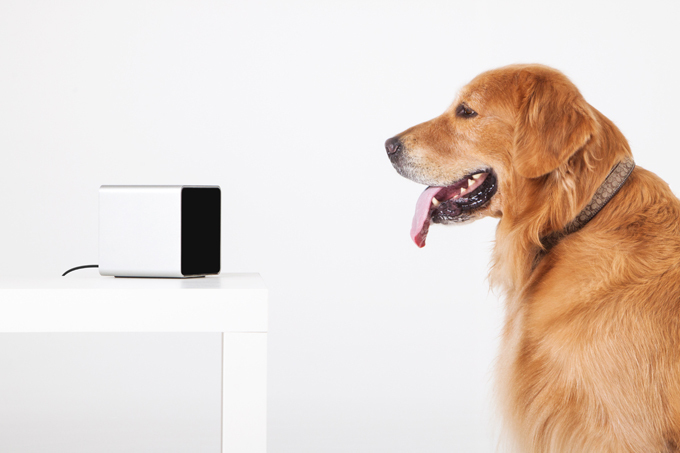 The pet cube comes with a laser pointer that you can remote control with your phone. My dog’s don’t seem to care about the laser pointer but the cats are definitely interested in the magical red dot. You can’t record the video and watch it later, you are watching a live feed so this is not going to work as a video playback system. It’s really fun to see your pets and call their names and see the look of recognition on their faces. They definitely know they can hear Mama and Papa’s voices when we log in to check on them and call out their names. I recommend the PetCube to any pet owner who wants to be able to check on their pets, talk to them, and interact with them when they are away. It just feels good to see them sitting there on the sofa, even when we are just out to dinner for an hour or two. You can buy the PetCube on Amazon and if you time it right, you’ll see they do promotions where you get 25% off the regular price.